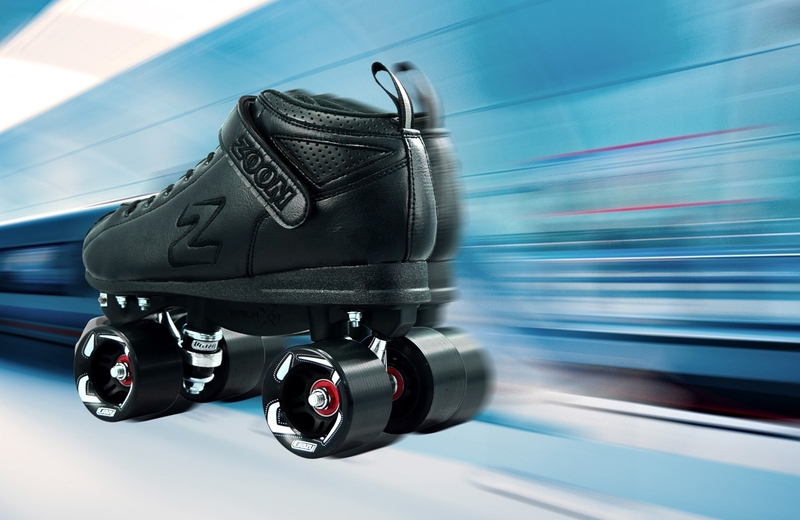 CRAZY Skate ZOOM - A quality built entry level skate, perfect for beginning Derby, Speed or Jam , Built Aussie Tough! CRAZY Skates ZOOM Built Aussie TOUGH! The ZOOM by Crazy Skates is a quality built entry level skate, perfect for beginning Derby, Speed or Recreational skating, Built Aussie Tough – at a Great Price Point too! 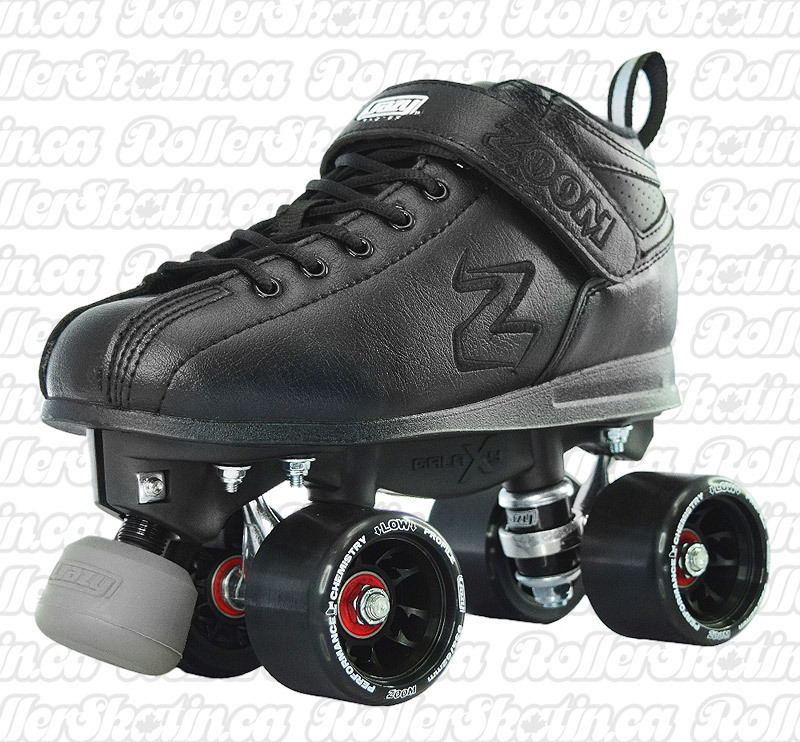 Built with a wide fitting padded boot that offers plenty of toe room - this speed style boot offers comfort and performance at a low cost.Underneath the boot, the ZOOM brings the tech with an integrated allen key adjustable toe stop featured on the new GALAXY composite plate, metal trucks and reverse kingpins all come standard. The skate package also includes a set of newly designed, non marking BOOST toe stops, which give a lively rebound when spinning, jumping and running on toe stops. The ZOOM roller skate features the New ZOOM wheel featuring an oversized custom hub with super low profile ‘race quality’ urethane, this super lightweight wheel gives great acceleration, top speed and an ultra-stiff response. Packed with ABEC 5 Red rubber shielded bearings – this skate is built to perform! • Red Rubber Shielded ABEC-5 Bearings - Fast! NOTE: The measurements indicated are the length of the actual insole, your foot should measure approx. 4mm less than the insole.